Business communication is the backbone of the success of the business and it is most important and crucial to communicate to your customers. With the revolution of internet it has become easier to communicate everyone in the world and business person can send new campaigns and special offer related to the services and products to increase the overall sales by Email marketing. Sending special promotional offers to the customers is called Email marketing and it is the most common way to increase the customer and to advertise the services and products. Email Marketing and Auto Responders Web Applications are major source to design and send emails, newsletters and sales letter to the customers in bulk order, not only this but you can also maintain a list of your customers by using these web applications for email marketing. You no need to have a special degree or skill for creating a professional email to advertise your product and services. 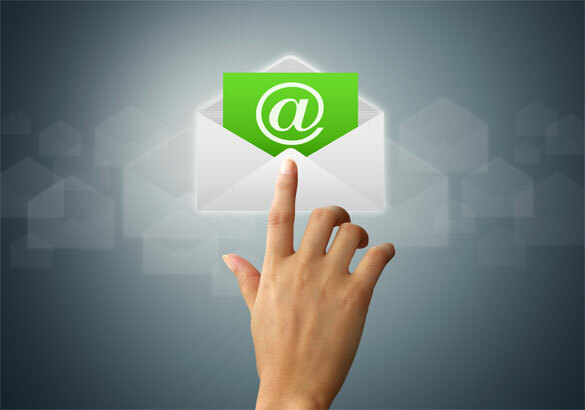 Just use these Email Marketing and Auto Responder Web Applications and leave the rest on them. By knowing the importance of these applications we decided to write a review by which the user can able to know which application is best to use for them. So we are going to mention the Top Free and Paid Email Marketing and Auto Responder Web Applications 2014, have a look on these and lets know which is going to be best for you. Aweber has features of auto response to the customers’ emails, auto follow-up to all, the ability to customize the HTML templates for the email, different sign up form’s preparation and ability to design an efficient email for your business from your blogpost which has been published recently on your website. Due to its unlimited features it is widely used for email marketing, although it’s not free and cost only 19$ per month, which is not so high for exceptional emails creation and marketing for 500 subscribers. MailChimp is one of those web applications which are used frequently. It can help you to design the perfect email for your business, customization sign up form for your website, integration with social media website like Facebook page, built in templates to put into your email is and the most important thing is its API which is full featured so that you can synchronize your database. If you are a beginner then MailChimp is the best option for you as it has no cost for the first 2000 subscribers with 12000 emails per month. It has few paid plans also with some more exceptional features. It is the web application for email marketing to create the professional emails, automated welcome response to customers’ emails, maintenance of unlimited fields, special features for email creation, analysis of the email in depth, tracking facility for all conversations related to sales and to make the message personalize. Available in free template and also paid subscription for extra features. iContact is offering more than of hundred templates for email marketing, advanced features to design professional emails, has special features by which you can share your offers and campaigns on social media sites like Linkedin, Twitter and Facebook. Price is only 14$ for the first 500 subscribers to enjoy unlimited features. GetResponse is a web application which helps you to create an exceptional and attractive newsletter and also can maintain the landing pages in few seconds. You can create personal messages, campaigns and special offers customization with hundred percent accuracy and fast timing with ease. It costs only 15$ per month only, but if you buy the 1 year package then can enjoy the handsome discount too. No need to pay monthly fee. Build Huge Lists, Skyrocket Your Profits and Take Control of Your Email. Here, we have mentioned the Top Free and Paid Email Marketing and Autoresponder Web Applications 2014, now it’s up to you to choose the best in all these according to the needs of your business.